It is 1858 and young Emily Preston is headed to Detroit. Her unpleasant behavior and poor attitude have resulted in her parents' decision to send Emily to spend time with her mother's brother, Uncle Isaac. Used to life on the plantation in Charleston and the attention of family-owned slaves, Emily is out of her element when she arrives in Detroit. Uncle Isaac owns and operates a hotel in the city. Emily is expected to attend school and lend a hand helping around the hotel. Dealing with the idea of blacks who have their freedom is completely contrary to Emily's upbringing. Determined to be annoying enough to give her uncle reason to send her home, Emily treats him and his employees with contempt and disrespect. Uncle Isaac rises to the challenge of dealing with the obnoxious teen and puts her in her place instead of sending her packing. As time passes and Emily gets to know Uncle Isaac and his friends, including some of the free blacks, she begins to realize that she is not better than others. When she first arrived and met Mr. Burrows, a slave catcher, she thought his job was an honorable one. Retrieving runaway slaves was something she was raised to believe was acceptable. However, her time in Detroit and a growing friendship with a young black boy causes her to change her thinking and view the work of Mr. Burrow as unjust. Author Michelle Isenhoff brings history alive in THE CANDLE STAR. Her characters are relatable and intriguing. Readers will be frustrated with Emily's behavior, but will come to appreciate her change and growth as she experiences life in the North. THE CANDLE STAR is book #1 in the Divided Decade Trilogy. Its fast pace and easy style is perfect for middle grade readers. A.S. King's latest release takes readers into the lives of four teens teetering on the edge of sanity. Stanzi, a victim of PTSD, is dealing with the death of her younger sister. Guilt is preventing both her and her parents from coming to terms with the tragedy. Family "vacations" consist of trip to the scenes of school shootings leaving Stanzi completely confused and prepared to runaway from parents she believes have emotionally abandoned her. Gustav is building an invisible helicopter. His parents seem supportive even though they confess to not being able to see his amazing creation. Stanzi, who care deeply for Gustav, can only see the helicopter on Tuesdays, but she believes in him completely and willing boards the aircraft when he invites her to join him on a flight to an invisible land. China avoids emotional trauma by turning herself inside out. Living with her insides on the outsides allows her to observe life without participation. She wants to be normal, but since a traumatic encounter with Irenic Brown, she fears interaction. Last is Lansdale Cruise, a compulsive liar. Each time she lies her hair grows. She cuts it daily, but continuous lying keeps it growing at an alarming rate. Her low self-esteem prevents her from dealing with family and friends honestly. Filled with odd characters and disturbing imagery, I CRAWL THROUGH IT is a hypnotic read. The four teens will draw readers into their unusual stories and carry them through to each unconventional resolution. Emerson and Vince are two teens living on the streets. Emerson's mother kicked her out, and Vince has no family at all. Together they are managing to survive, but there's a time limit for that survival. In fact there's a time limit for everyone. In just over twenty-four hours an asteroid will hit North America, ending life for anyone not fortunate enough to be able to afford a ticket to some safer part of the world. As Emerson and Vince wander the streets deciding what to do with their remaining hours, they meet Carl. He tells them he has been granting people's final wishes and has decided to pass his remaining money and his car on to the two teens. He challenges them to continue paying it forward. Time continues to tick down as Emerson and Vince wander the streets offering what they can to desperate people. In between their good deeds, Vince tries to convince Emerson that they should use the remaining gas in the car to take her back home to reunite with her family. Emerson isn't sure she wants to confront the mother who sent her packing or if she would even be welcome if she showed up in these final hours. Author Lisa Schroeder credits a favorite high school teacher for the idea behind this book - "if you only had 24 hours...." What would you do? Schroeder's characters find satisfaction in helping others as a strange twist of fate works to provide a surprise for them as well. Allie is ecstatic to learn that she is not alone. She is not the only girl who hates her nose! For as long as Allie can remember, she has wanted to change one thing about her appearance. The shape of her nose, especially the bump, has disgusted her. She wears sunglasses in hopes of hiding it, and she is always looking for makeup tips that help hid imperfections. No one knows how she feels, not her parents and not even her best friend Jen. But all that changes when Allie finds a website devoted to people considering cosmetic surgery. She meets Katrina and Mel. They also hate their noses and plan to do something about it. After sharing her feelings with her two new friends, Allie is even more determined to make a change that she thinks will improve everything about her life. Will she have the courage to confront her parents about the subject? Will tutoring a girl named Amber help her realize what real problems look like and what's really important in life? Author Deborah Blumenthal explores the increasing popularity of cosmetic surgery that is sweeping the country. A DIFFERENT ME is perfect for girls dealing with body image issues and is sure to stimulate quality discussion about related topics. Author Louis Sachar, famous for HOLES, is back with a new release called FUZZY MUD. Tamaya and Marshall attend Woodridge Academy. Tamaya is in fifth grade and her mother insists that she not walk to and from school alone. Since Marshall, a seventh grader, lives nearby, he is Tamaya's companion twice a day. Years have gone by uneventfully, but that is about to change. Marshall is the victim of school bully Chad Hilligas. When Chad threatens to beat Marshall up on the way home, Marshall insists he and Tamaya take what he calls a "shortcut." The supposed shortcut takes the two through the woods and makes Tamaya very uncomfortable. The two soon become separated in the dense woods. Sure that she has heard Chad following closely, Tamaya trips in her rush to escape. She feels her hand sink into something she describes as "fuzzy mud." When she hears footsteps coming closer, she clutches a handful and flings it at the noise. The mud hits Chad full in the face allowing Tamaya to make her escape. Overnight Tamaya's hand develops an unusual rash which develops into bleeding blisters. The condition worsens throughout the next day, and she begins to wonder what happened to Chad. That worry deepens when it is announced at school that Chad has been reported missing. After that the plot (and the mud) thickens. This frightening tale is perfect for middle grade readers. Many of them may have not even heard of HOLES or Sachar's other books, but FUZZY MUD is sure to earn fans who can then be pointed in the direction of his earlier books. George is a fifth grade boy who identifies herself as Melissa. George's best friend is Kelly. Having a girl for a best friend helps a bit, but George would love to be able to share her secret with someone and just be herself. The kids at school seem to know George is a little different. She deals with taunts and teasing from some of the guys, especially when the teacher finishes reading CHARLOTTE'S WEB and George sheds a few tears at the sad ending. George begins to hatch a plan that might make telling her mother about her secret a bit easier. Every year the fifth grade performs a play based on CHARLOTTE'S WEB. George believes she would be the perfect Charlotte. She even gets encouragement from Kelly as they practice running lines before the tryouts. However, the teacher dashes any hopes George has when she refuses to let George play the part she so badly wants. This calls for a new plan, and Kelly is on it. There may still be hope that George can show the world how important it is to live life as a girl. Author Alex Gino began writing GEORGE in 2003. Just released this week, the book represents a step forward in acknowledging transgender issues for younger readers. Gino presents the subject in an informative, non-threatening plot that not only educates but also speaks to kids questioning their own sexual identities. GEORGE is a must have for classrooms and libraries. ARC graciously provided by Viking Publishers. BFF's Charlotte and Lydia have always had a grand plan for their futures. As students in the cosmetology program at ATC, the Arts and Trades Center, they are partners intent on winning this year's Winter Style Showcase. That win is the first step in their Grand Plan to graduate, go on to earn business degrees from Jackson College, and then open their own salon. Winning the Style Showcase is more important than ever for Charlotte. Her mother simply won't acknowledge that cosmetology is an acceptable career. She believes that earning a four year college degree is the only future for her daughter. After a family argument, Charlotte makes a bet with her mother that means her entire future plan requires winning the Showcase at all costs. Things begin to fall apart almost immediately. The first devastating blow comes when her best friend ever decides to totally switch directions by dropping cos arts to join the culinary arts program. Are you kidding? Problems at the family grocery store arise that eat away at the time Charlotte has to spend prepping for the big show. Things really heat up when a potential romance is sabotaged as Charlotte discovers that the "QT" (cutie) of her dreams is really interested in Lydia instead. One complication leads to another, but through these challenges Charlotte, who is usually a very "me" focused person, learns that working together and thinking of others can make all the difference. Author K. A. Barson takes readers on a wild ride that involves the stress of competition, the frustration of a family business, and the rollercoaster of romance. Using the backdrop of an alternative high school focused on skills and arts training adds a unique element. The showcase competition provides an interesting educational opportunity requiring cooperation and a variety of real world skills that current educators might be wise to investigate. CHARLOTTE CUTS IT OUT is perfect for readers looking for a story that combines hair styles, makeup, and fashion with the daily struggles teens face with school, friends, and family. Author Jack Gantos is known for his JOEY PIGZA series and DEAD END IN NORVELT and its sequel. This latest book is similar to the autobiography Gantos wrote titled HOLE IN MY LIFE. THE TROUBLE IN ME is fiction, but its main character is Jack himself. He combines memories with fiction to tell readers about a time in his life when his desire was to be anyone but himself. Young Jack's family moved frequently. This story takes place shortly after the family moves into a new Florida neighborhood. Feeling lonely and bored, Jack begins observing his neighbor, Gary Pagoda. Gary has had his fair share of trouble with the law. Currently on probation, Gary doesn't let that stop him from doing what he wants and going where he pleases. When he discovers that Jack is shadowing him and that he could probably take advantage of the fact that Jack also appears to look up to him, he knows just what to do. Jack is willing to do anything Gary asks of him. He also isn't discouraged by Gary's verbal and often physical abuse at all. Jack's dream is to become Gary so he becomes the truest of followers. THE TROUBLE IN ME speaks to just how far someone will go to escape a boring, lonely life. Jack details how far he was willing to go to become Gary's friend and what it took for him to see the error of his ways. Gantos fans will definitely want to check this one out. 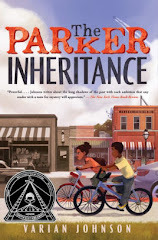 It is not often that a book marketed for an elementary/middle grade audience also strikes a chord with the teachers who offer it to their students. Author Phil Bildner has written such a book. A WHOLE NEW BALLGAME may be intended for kids ages 8-12, but it speaks to educators just the same. Rip and Red are starting fifth grade in the elementary school they have attended since kindergarten. When they arrive at school on the first day, they are greeted by unfamiliar faces. Where is Ms. Hamburger, the usual fifth grade teacher? Where is Ms. Darling, the principal? Where is Waldon, the parent coordinator? Upon entering their classroom, Rip and Red come face to face with a man who introduces himself as Mr. Acevedo. A new teacher? How can this be? As the days pass, all the students realize that Mr. Acevedo is not a usual kind of teacher. He encourages reading and writing and starts the students on a research project, but he doesn't believe in worksheets and he doesn't believe in TESTS. Another surprise comes along after school when Rip and Red discover that Mr. Acevedo is also going to be their new basketball coach. Will the fifth graders learn what they need to to pass the district-required standardized tests? Will they actually learn anything at all? And, will their mixed up basketball team ever win a game? Mr. Acevedo doesn't seem to be worried at all. Phil Bildner's fast-paced style and illustrator Tim Probert's great sketches are sure to capture the attention of young readers, but that's just the beginning. Mr. Acevedo's bold approach and dedication to helping kids learn to think and not just regurgitate facts for some mandated test will speak to and encourage teachers to do what is best for their students. A WHOLE NEW BALLGAME truly has something for all audiences! Hello fellow readers! I just retired after 40 years of teaching middle and high school English. I still teach at the college level - Children's and Adolescent Literature - and I truly enjoy connecting my students with great books. 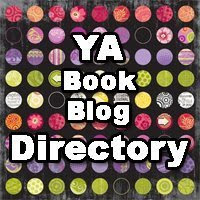 For anyone not familiar with my posts, I review mostly YA fiction. My focus is on books for middle grades and high school age readers. I have reserved the right to review only books I feel I can review positively. After all, I believe life is too darn short to read books that don't truly interest me. Readers will be able to view a brief summary of each book, my quick thoughts on any unique qualities in the book, and a peek at the cover. (I confess - I do sometimes "judge a book by its cover.") I will also post information about Accelerated Reader points since my students will be interested in this information. I appreciate any comments you would like to share regarding the books reviewed and also suggestions about additional books that readers might enjoy. Always on the lookout for new material to use in my classroom, I'm open to any and all suggestions. I look forward to sharing many reading related thoughts with interested readers.